What if the Machine never existed? 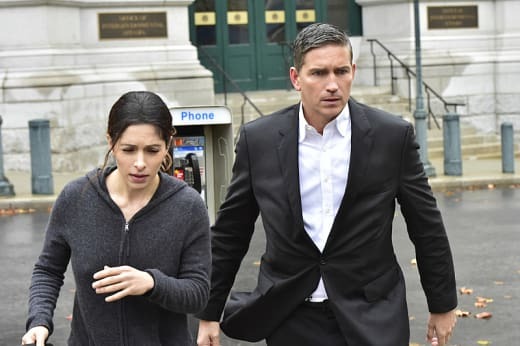 Finch got a glimpse into that world on Person of Interest Season 5 Episode 12, but the results weren’t happy endings for all. Sure, Nathan got to live, but Reese wound up dead, and Finch never met Grace. Yet, the big takeaway was that Samaritan would have been created regardless, and there would have been no Machine to stop it. The concept of the “what if” world is a fascinating one, but I was initially worried that exploring that in the second to last episode of the entire series might have been a misplaced hour. But “.Exe” didn’t deviate from the main storyline, instead providing glimpses of that alternate reality to try and help Finch make his decision to use the virus to take down Samaritan. Of course, in a cruel twist of fate, using the virus would also ultimately affect the Machine and kill it as well. So it was great to see Finch, even in his determination to want to stop Samaritan, struggle with the repercussions toward his beloved artificial intelligence. It wasn’t some easy decision to be made, and yet, it was a decision that he got to choose to make. In a fantastic reveal, the Machine acknowledged it knew the code to activate the virus but it was letting Finch be the one to do it. And that’s such a huge difference in the perspectives of Greer and Samaritan. With those two, free will was a negative. Saving the world meant letting Samaritan make the tough decisions, not humans. Of course, getting a final standoff between Greer and Finch was riveting. Sure, we got some neat action scenes during the hour, but their verbal intellectual sparring was just as intense. Seeing John Nolan and Michael Emerson discuss the artificial intelligences, the greater good, and a better future kept you on the edge of your seat wondering which way everything was going to go. And Greer sacrificing himself (loved the chess references) for Samaritan was a fitting ending for his character, a true believer in that artificial intelligence. He just never counted on Reese and Shaw popping in to get that Wi-Fi connection. If anything, by the end of the hour, Finch was able to truly realize just how much good he and the Machine have done over the years, and the positive effect they have had on the likes of Reese, Carter, Fusco, Shaw, Root and countless others. And even in knowing that using the virus would be its demise, the Machine didn’t go rogue or fight back. It trusted in Finch and stuck to its true purpose of helping save humanity. I’m sure we’re going to get an emotional goodbye between Finch and the Machine in the finale, but what a way to end the hour with Finch following through and using the virus. I was a bit surprised that Fusco wasn’t involved in finding Finch, especially because he’s been brought into the fold. He did have to contend with the Samaritan agent, but his story felt very separate from everything else going on. I guess it did reveal who killed all those missing people, but Fusco’s story just wasn’t that engaging this time around. Though I’m sure with the series finale next week, all the characters will be back together. It’s bittersweet knowing that this exciting series is coming to and end, but the penultimate episode did a wonderful job of leading us into that final chapter. What did you think of Finch's decision? Did you enjoy the alternate reality glimpses? 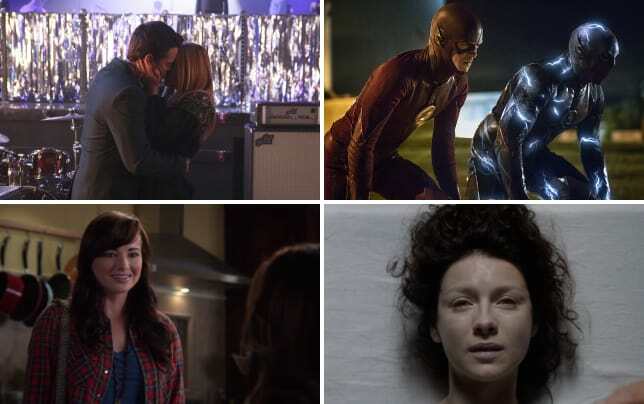 What will happen in the finale? Sound off below, and make sure to catch up before the finale and watch Person of Interest online now! 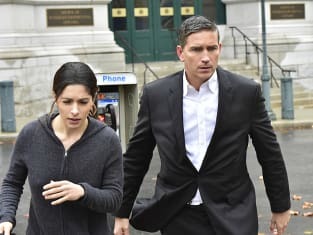 NOTE: Person of Interest Season 5 Episode 13, "Return 0," airs June 21 at 10 p.m.
We were just looking for some bad guys. Permalink: We were just looking for some bad guys. You think you've won, but you haven't. Permalink: You think you've won, but you haven't.